in your area. i wanna see these posers. ahh, in before the move. Last edited by Yoshiemaster; 11-25-2005 at 02:01 PM. Eh, don't feel bad, mine was from an actual digital camera, but I was kinda far away, and the lighting sucked. i saw a 6th gen like that one time at walmart, then i walked inside, got a 64oz. then sat on the bleacher til security told me to get off.....yea, i was bored and drunk that night. 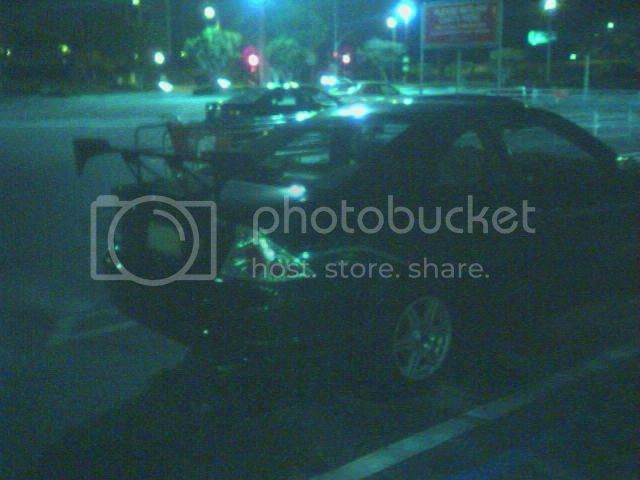 Last edited by booba5185; 11-25-2005 at 09:03 PM. 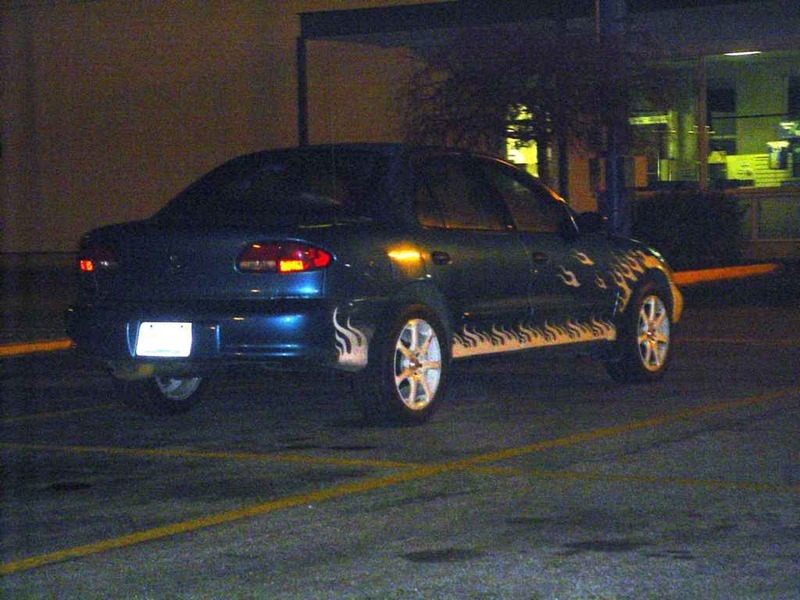 did you let him know his car was on fire? is that because you peed on it? that second on ewouldnt be so bad if they traded the wing for paint. 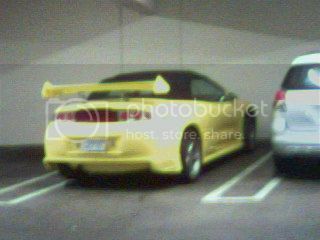 in that second picture.....that wing is MASSIVE the car itself wouldn't be too bad if it just had a good paintjob, but that wing......are you serious? Camera ready for all those riced out cavaliers i see!!! ahaha sweet! yea imma buy a camera this weekend or in the next couple weeks, hopefully, and do the same. ahahah those look like waves more than flames.